Bukdahl, Else Marie. “The Roots of Neo-classicism. 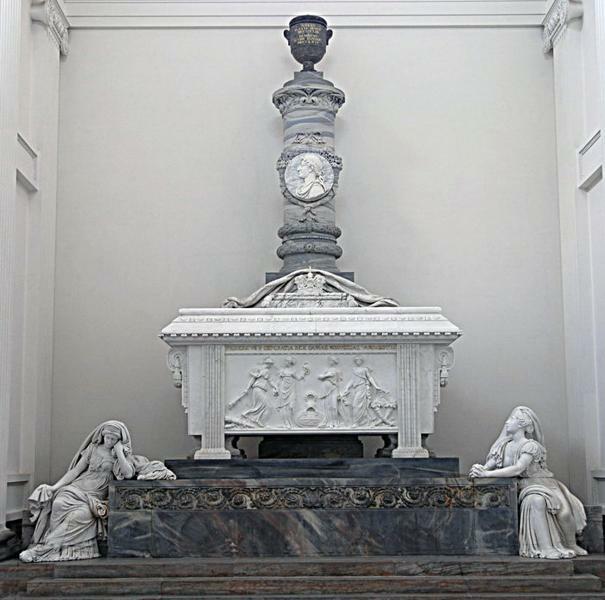 Wiedewelt, Thorvaldsen and Danish Sculpture of our Time,” The Roots of Neo-classicism(Copenhagen: The Royal Danish Academy of Fine Arts, 2004), 22 and 24. “In Wiedewelt’s descriptions, written on the approved drawing, he emphasizes the significance of the gestures and the expressions of the figures. Prudence should appear thoughtful, looking towards Fortitude as if addressing her. Peace holds her hand, and the movements and the faces should show that Fortitude is listening to the advice of Prudence. The Felicity of the Century is speaking to Fortitude, but is pointing at the same time towards the crossed cornucopiae, the symbol of Abundance in the Kingdoms of Denmark and Norway, the result of the king’s successful government. Karin Kryger, “Wiedewelt and Allegory,” in Marjatta Nielsen and Annette Rathje, eds., Johannes Wiedewelt. A Danish Artist in Search of the Past, Shaping the Future (Copenhagen: Museum Tusculanum Press, 2010), pp. 119-20 & 120.